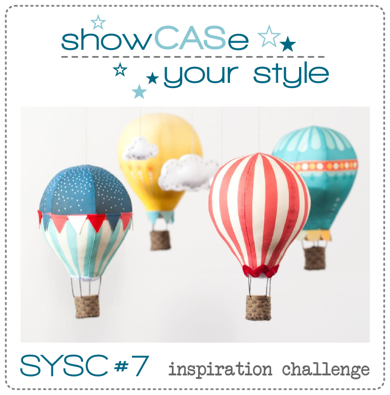 I chose to focus on the patterns and style of one of the balloons. I stamped the sun rays (Up, Up, and Away) in turquoise on my main panel, then added a darker panel to the top that I stamped dots in white on (Basic Backgrounds & Borders 2). I cut a piece of kraft cs for the sentiment, stamped the words (Birthday Balloon), then rounded the top with one of the Stitched Border Trio dies. I then mounted my main panel on a base. 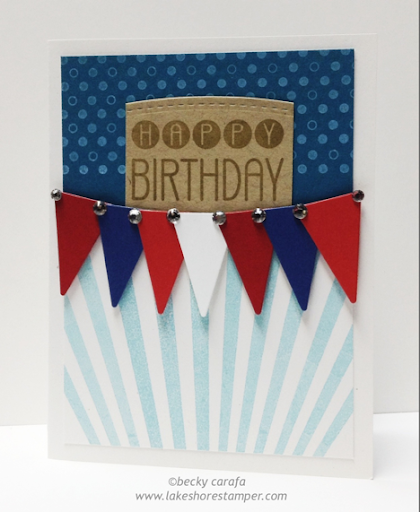 The flags were cut using a Tremendous Triangles die, then layered on. Rhinestones finish it off. You can find all the details about joining in this challenge HERE. All stamps and dies from Clearly Whimsy. Wonderful card, I love the papers and colours you used.